Determining the distance between objects using air-coupled ultrasound is based on the principle of propagation time measurements. 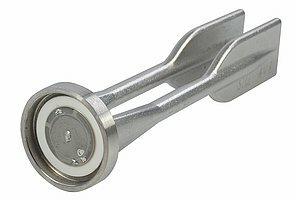 Here, ultrasonic sensors work as transmitter and receiver with short, high-frequency acoustic impulses in the range of approx. 40 to 500 kHz. They are transported in air at sound velocity and reflected from objects. The measurement of the propagation time between sending the pulse and receiving the reflected signal is evaluated electronically to give the distance from the object. 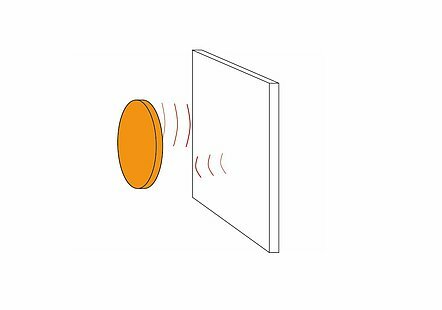 Ultrasonic sensors for air ultrasound use in most cases the radial oscillation of >> Piezoceramic Components as >> piezo disks or >> plates. 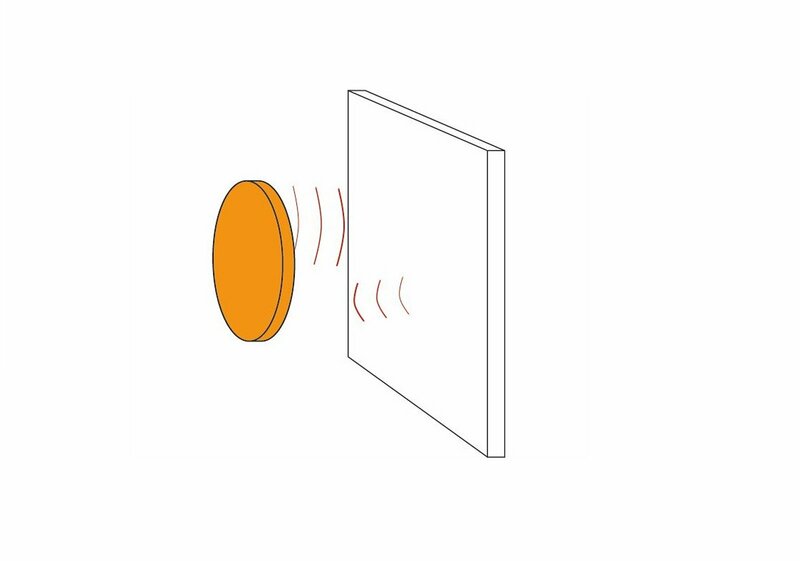 To ensure efficient and low-damping transmission into air, the piezo elements are provided with acoustic matching layers made of a suitable material. PI Ceramic manufactures the integrated assembly according to Customer Requirements and ensures proper contacting and installation in your product. 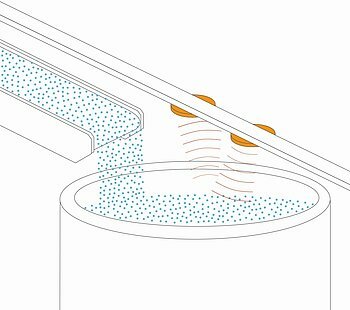 Piezo-based systems can be used for noncontact measurement of the filling levels of liquids or solids for example in silos. In this case, the piezo transducers are placed outside the medium to be detected to avoid a contamination of the filling medium and the sensors. 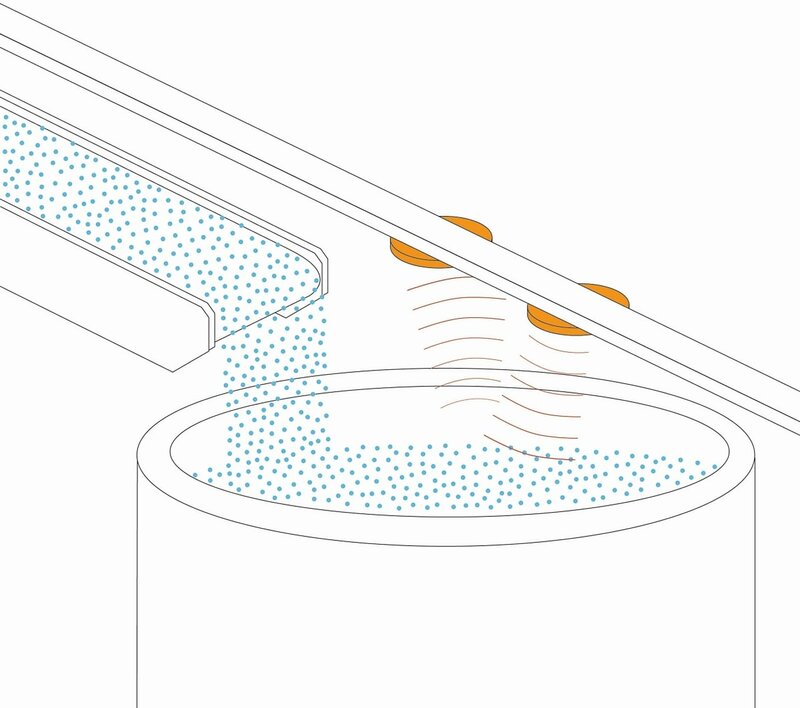 The fill level detector transmits an ultrasonic pulse that is reflected by the contents. The required propagation time is a measure of the distance traveled in the empty part of the container. The resolution or accuracy depends on how well the ultrasonic pulse is reflected by the respective surface. Filling levels can also be measured using so-called tuning-fork sensors or submersible transducers. This method uses piezo elements as level switches. They are placed at different container heights. The piezo transducers excite a tuning fork at its natural frequency. Upon contact with the medium to be measured, the resonant frequency of the transducer shifts so that the filling level can be determined. This method is very reliable and independent of the type of filling medium. 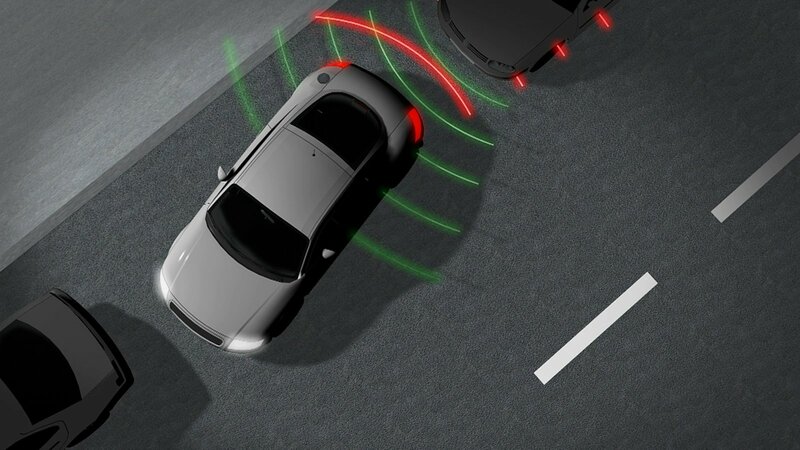 Active park distance controls in vehicles often use ultrasonic distance sensors which use propagation time measurements to measure the distance to the surroundings. To this end, several ultrasonic piezo transducers are integrated into the bumpers, which send and receive ultrasonic signals and transmit the acquired data to the control unit, which will then calculate the distance between the sensor and the obstacle from the propagation time of the ultrasonic signal. The higher the number of sensors, the more precise and reliable the measurement result.